Everything you need to live a full, happy, purposeful life. You love the idea of creating a better life. The challenge is that who you are now and how you really want to live can feel so far in the distant future. Have you ever felt like you are just going through the motions in your life? That no matter how hard you work, how much you try to change things, or how bad you want a better life, that you can’t create it? And you wish the weeks away living for the weekends. For most people, we live by the clock trying to get more and more done, but we don’t live by the time right in front of us. We wish the weeks away living for the weekends or a "golden opportunity" to do what we want in the distant future. What if you could take action on your dreams and goals in life now, rather than put them off in the future? What if you created your life on a daily basis and not let routines or past choices hold you back? What if creating the life you want didn't have to feel so dang hard? If you’re anything like me, you want to live a full, happy, purposeful life. But if you’re also anything like me, you might find yourself feeling stuck in a day-to-day blah. Life is good, but not great. You realize that you’ve been putting your deeper dreams and goals on the backburner. I know how easy it is to fall off the path you really want in your life. But I also know that when you have the right tools, resources and support, it’s even easier — and super fulfilling — to create the life you want. And the joy and freedom you experience will blow your mind. Wouldn’t be nice if you felt a sense of clarity to create a new level of joy and purpose in your life? If you felt guided, and supported. If you felt like you didn’t have to let your fears, doubts, or past choices hold you back from what you want. If you stopped telling yourself it’s not the right time and actually used the time that’s right of you. Imagine if you had a weekly motivational guide to help you create unstoppable momentum in your life right now. I want you to have the tools and support to create a positive urgency to live in the present. I want you to start saying yes to creating the life and happiness you want now. I created the Momentum Membership to make it incredibly easy and fun to start living the life you want, using the time right in front of you — so you can feel elevated, supported, and inspired every day. 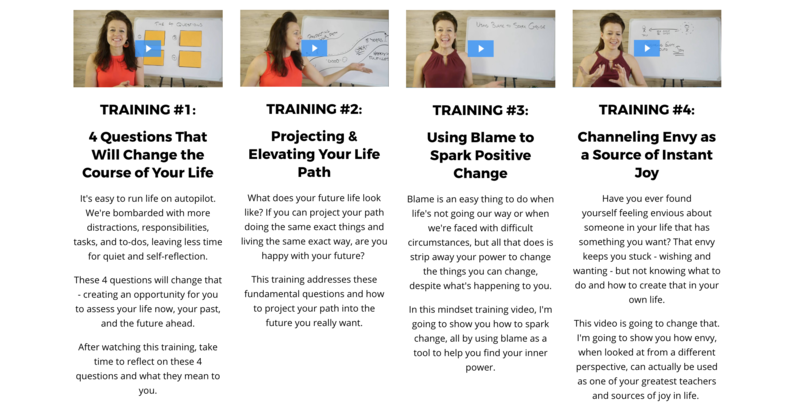 As a member, each week you’ll get a brand new video from me on topics like building a positive mindset, creating a true work-life balance, being productive and purposeful, and discovering how to create well-being from within. You’ll get weekly emails from me to keep you inspired and supported on your journey. You instantly become a part of a tribe of like-minded people in the membership platform where you can grow, learn, and discuss with fellow members who are on the same path to elevate their lives, just like you. You’ll also get a live online group coaching session with me every month where I teach new personal growth concepts and take your questions live. This is like the next best thing to hiring me as your personal coach. You'll also find out about upcoming trainings, events, retreats I'm hosting, as well as giveaways that you will be the first to know about as a member. 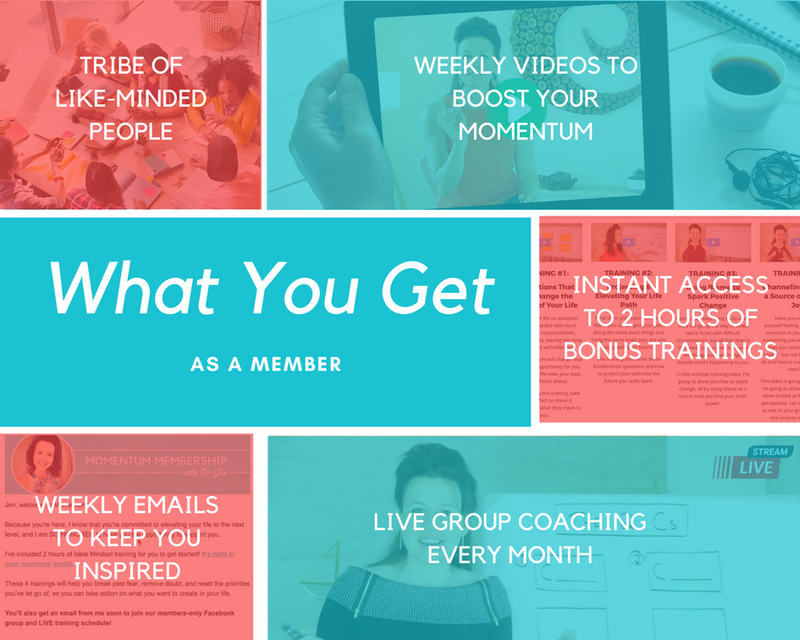 And when you join today, you get instant access to two hours of mindset training to build your ideal life starting right now. to create well-being from within. you want when we connect live! to build momentum every week. ideal life starting right now. to elevate their lives, just like you. the first to know about. Plus, Everything is in One Place! You can access the Momentum Membership anytime, from anyplace, using your smartphone, tablet or computer. There's Nothing Else Like It! Since early in my life, I never wanted to be put into a “box.” But I found myself in my own trap. The same fears, insecurities, and doubts I've had in my head were making me say no to the bigger dreams I'd been hiding from for years. I had to redefine what a successful life meant and realized that it’s about doing what makes you happy, thrive, and feel alive, NOT just follow a path you think you're supposed to follow. I want to be the coach that can say to you..."Hey, let me keep you motivated and on the right track every week to help you create your life on your own terms again, or maybe for the first time ever." I don't know anybody else in this space who is teaching about life the way that I am because my path in life has been so unconventional. I've literally walked away from a successful practice. I've left my home and sold everything I owned, all so I could discover who I really was and what I truly wanted in my life. In this membership, you get the opportunity to actually work with a coach who thinks outside of the box, because that's how I live and breathe and that's how I teach. That's why I want you to join Momentum. Now, to be clear, you have to really care about breaking away from how convention or your past has boxed you in and start to focus on what you really want, rather than put life on hold, to do this. This membership is usually $49 every month. But I wanted to do something special for you and invite you to try it out for just $1 right now. When you become a member of Momentum, you get access to the Momentum Membership Archive and lock in an amazing bonus! This bonus is really special. You'll get 4 trainings on how to build a positive mindset. All of this content is ready for you in the members' portal when you join today. Q: What is the Momentum Membership? Q: Is the Momentum Membership for me? Q: How is the Momentum Membership delivered? Q: What if I can't make the online live coaching sessions? Q: How much is the Momentum Membership? Q: What if I want to cancel? Q: How much time will it take every week? Q: What if I can’t finish all of the content each month? Q: Why am I offering a $1 trial? Q: How long is the membership? A: The Momentum Membership is a monthly online subscription that makes it inspiring to create a new level of joy and purpose in your life! Every month you get tons of inspiring content, including weekly videos and inspirational emails from me. 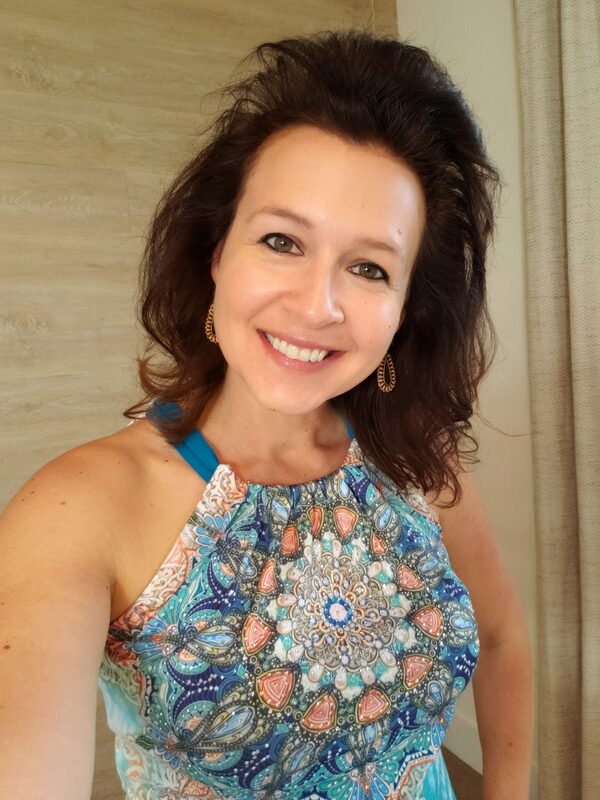 You can join me for live online group coaching sessions every month, and you can connect with a supportive community through our membership platform. Plus you'll also find out about upcoming trainings, events, retreats I'm hosting, as well as giveaways that you will be the first to know about as a member. A: If you feel like life is all work and no play, no matter what you've tried and how bad you want something different, the Momentum Membership will give you the coaching and guidance you need to create step-by-step growth towards the life you want. The Momentum Membership is for anyone who wants to start living in the present rather than continuing to put their dreams and goals on hold — no matter what age or stage of life you're in. A: Everything is in the Membership portal! You just log in to access all the videos, live session recordings, and more — for the current month AND previous months. You can access the Membership portal from any device with an wifi connection, 24/7. And to help you stay accountable to creating your life momentum, I send each week to encourage and support you! Every month, I'll unlock another new set of Momentum trainings for you, and you can take any of them AT YOUR OWN PACE. The goal is to give you the unconventional training and personalized coaching you need to dramatically accelerate your growth, productivity, well-being, and work-life balance all year long. Plus you can ask questions under any of the lessons, share your breakthroughs, and I'll be in there reading and responding! A: You're covered! I record all live trainings and put them in the members' portal, so you can watch them any time. A: Join for the first month right now for $1 trial. If you stay with me, it's just $49 per month for NEW training every week and LIVE coaching every month (which automatically renews if you don't cancel within your first 30 days). And you can cancel anytime! A: I offer a "cancel anytime guarantee." If you don't love the membership, just cancel anytime right in your membership portal or by emailing us at support@drjenfaber.com. You can cancel any month and you won't be billed again. However, a cancellation does not refund previous months' charges because we delivered for you, and once you cancel, you'll no longer be able to access any content Sounds fair, right? So there's no risk in enrolling. Only room to grow! A: I live by a "No Overwhelm" way of life. Every week, you'll get a short, compact lesson (between 8-10) minutes to build Momentum in your life, so you can watch it conveniently on a short break. The live online monthly coaching sessions are typically 30-45 minutes, and you can stay on for as long as you life. All recordings of the live sessions will be put in the members' portal. A: It will be there waiting for you! You can go back to any lesson, live coaching session, etc., at any time and listen/watch/learn whenever you want 24/7. The Momentum Membership gives you flexibility to grow on your path and work the trainings around your lifestyle. A: I want to help you break away from how life has boxed you in from the dreams or happiness you’ve been putting on hold. I know after having taught thousands of people from various walks of life and stages of life to help them break out feel stuck and start to create some serious momentum, you can go to another level in your life, and I can support you in doing that. You and I both know that there's something special about you. No, seriously. Stick with me for a second. If you think about it, you're just a little bit more motivated to improve your life than your peers. Isn't it true? Aren't you HUNGRY right now for change, to create a shift in your life, to stop putting your dreams on hold, to stop taking time for granted, so you reach the next level of purpose and joy in life? Lots of people SAY they are. In fact, 1 out of 2 people are dissatisfied with some area of their lives. But most are just onlookers, right? They stay stuck. But you DEEPLY CARE about reaching the next level of joy in your life. You're the type of person, I'm guessing, who really wants to live more, act without fear, be courageous, and live in the present. You want to develop a more positive mindset and sense of clarity in every area of your life because you KNOW, deep down, you're supposed to have a life that isn't mediocre, riddled with fear, or unfulfilling. So I honor you for being on this page and want to honor you even further by giving you the opportunity to join Momentum for just $1. All you need to do is click the button below.